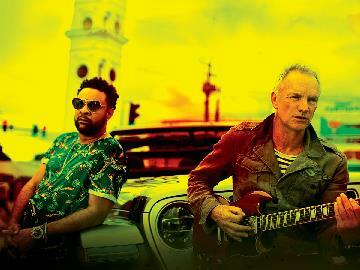 Buy tickets for Sting & Shaggy: 44/876 UK Tour 2019 at O2 Apollo Manchester on 25/05/2019 at LiveNation.co.uk. Search for United Kingdom and international concert tickets, tour dates and venues in your area with the world's largest concert search engine. Following the GRAMMY’s, where Sting & Shaggy were awarded Best Reggae Album for their collaborative UK Top Ten hit record 44/876, the pair have announced their return to the UK with The 44/876 Tour.